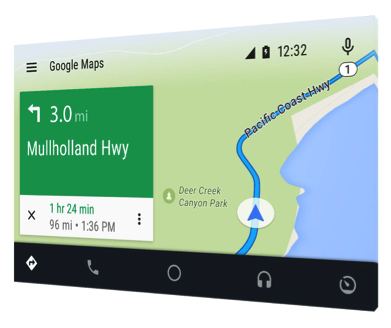 We’ve heard of Apple CarPlay but, like any other rivalry, there has to be a worthy opponent – this is where Android Auto enters the ring. Featured only in the 2015 Hyundai Sonata (for now), Android Auto features the essential apps needed to make anyone’s morning commute or road trip more enjoyable. This infotainment system features six functions: home, maps, music, communication, voice, and apps. Home, other than being the overview of the system, shows the driver’s three most recent or relevant actions. An example would be showing an earlier text message or the current weather. Weather is updated periodically, which is much needed for those long road trips through different states where weather varies. Google Maps is included, and kudos for that since Apple Maps is known to be filled with glitches. What’s great about the navigation system is that no matter what app you’re checking while the map is still running, a card will display the next turn – never having to worry about missing an exit. Communications tab is what it sounds like – texting and dialing. This has always been a hot topic for the media. Does Android Auto do anything spectacular with it? Well, not really. It’s similar to most other new cars – Bluetooth hands-free texting and dialing. But in the end it’s always worth it. Say no to texting and driving. Similar to the Communications tab, Voice is used for talking to your system (yes, we are beginning to talk to the machines). Like most infotainment systems, you can tell your vehicle to play a specific song or set a location for the GPS. I’m glad to see automotive manufacturers are including more hands-free options. Safety is always an important factor on the road. The Apps tab is pretty much what it sounds like. It includes all the apps on your system. There will be updates in the future, increasing the availability to more apps other than what is factory-installed on the vehicle during purchase. 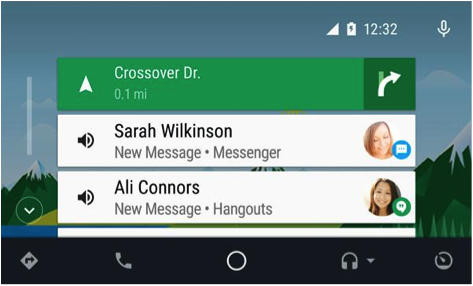 As stated before, Android Auto is only available in the 2015 Hyundai Sonata for now, but Chevrolet will be including it in their new vehicles later this year. Instead of buying a whole new car, you can purchase a Pioneer infotainment system pre-loaded with Android Auto for your existing car. As for compatibility, only phones with Android Lollipop will work – bummer, as not every Android-based phone has Lollipop yet.